The Austrian Pine was introduced to the U.S. in 1759, coming from Europe. It works great as a beautiful landscape tree, producing a dense, dark green crown. It’s also great at restoring scarred land by stabilizing the soil and providing a great wind break. It grows to a height of 50-60’ and has a spread of 20-40’ at full maturity. 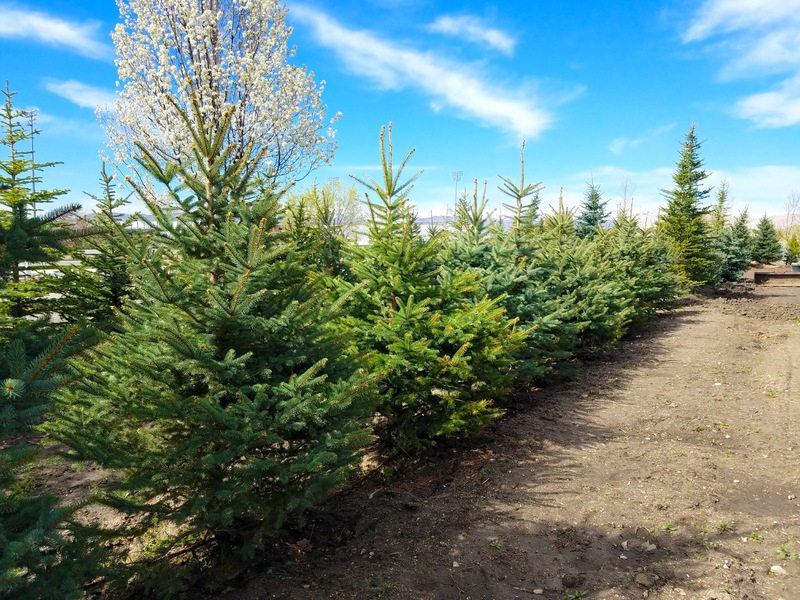 Austrian Pines grow at a medium rate, generally growing 13-24” each year. It’s quite hardy and was actually used to help during the nation’s great dust bowl shelterbelt project. Also known as the European Black Pine, it has a high tolerance for pollution, smog, and tough soil. It grows basically everywhere in the US and is tolerant of temperatures down to -20F. It needs full sun and needs to be watered weekly, or sometimes more often in extreme heat. Even though they’re in high demand, we have plenty of Austrian Pine for sale. There are so many reasons to purchase an Austrian Pine. They’re extremely popular around Christmastime as they make a wonderful Christmas tree. Anyone who’s ever put a shovel in Utah soil knows that it’s mainly rock. The Austrian Pine doesn’t mind at all. It’s very resistant to all sorts of soil: alkaline, acidic, or full of clay. Another main reason why people like them is for their size. Because they can grow so large you typically don’t need very many to fill up your yard. A word of caution though, since they will grow large plan ahead and make sure you have adequate space for them to flourish. If you don’t have enough space for a 40-60′ tall tree there are some dwarf versions available. Caring for an Austrian Pine is generally quite easy. They are drought-resistant, require little water, and can survive extreme temperatures. The first few months are the most crucial though, so make sure to water it at least weekly. Also make sure that it’s got at least 6 hours of direct, unfiltered sun every day. Once you’ve had it for a few months you can back off on the waterings if you need or want to. After it’s had a few months to acclimate to the ground it should do well without too much help from you. For any other questions or to see our Austrian Pines for sale, call us at (385) 257-0055 or send us an email.